Police have confirmed a body discovered in Newcastle is that of a missing North Yorkshire man. 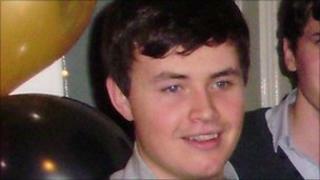 Duncan Gibbon was last seen with friends at the Fever Bar on the Quayside on Saturday night. The 21-year-old Edinburgh University student, from Northallerton, had become separated from the group, and a search operation began on Monday. His body was found on an embankment near the High Level Bridge on Wednesday. A post-mortem examination will be carried out to try to establish the cause of death.